Melbourne is known as Australia’s coffee and culture capital and the great news is that most of the city’s best bits can be enjoyed for absolutely nothing. I’ve partnered with Expedia.com.au to compile a budget guide to Melbourne to help you have a stylish yet thrifty holiday. 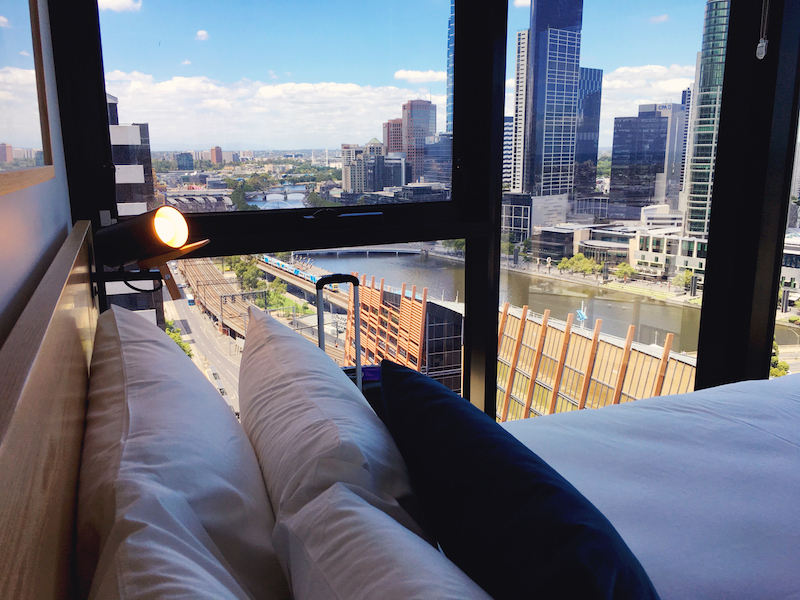 Read on for the best free activities, cheap eats and budget-friendly boutique hotels to bed down in Melbourne. Melbourne is world-famous for its laneways and alleyways filled with vibrant street art. 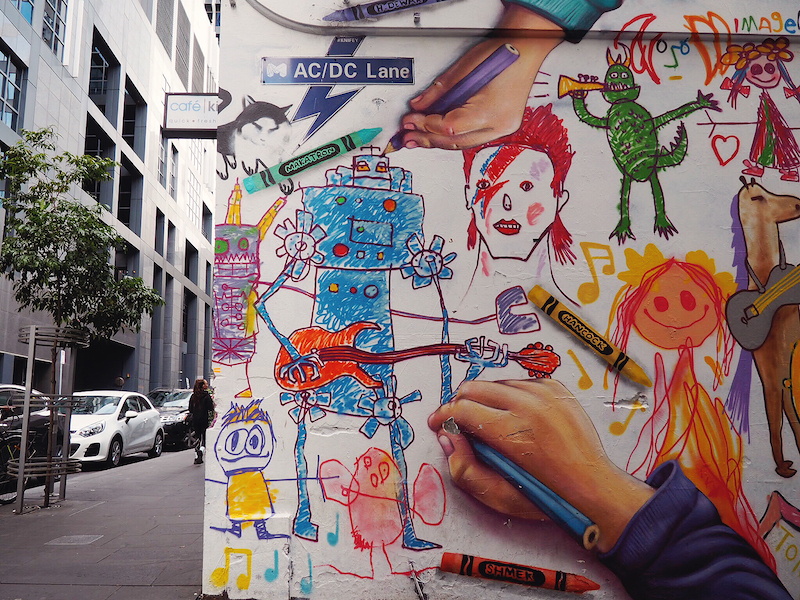 Plot your own free walking tour using my Melbourne street art guide and discover some of the best street art in Melbourne on Hosier Lane, AC/DC Lane and Croft Alley. Heads to hipster neighbourhoods of Fitzroy, Collingwood or Brunswick to find more works by famous Melbourne urban artists, including Rone, Adnate and Mike Makatron. 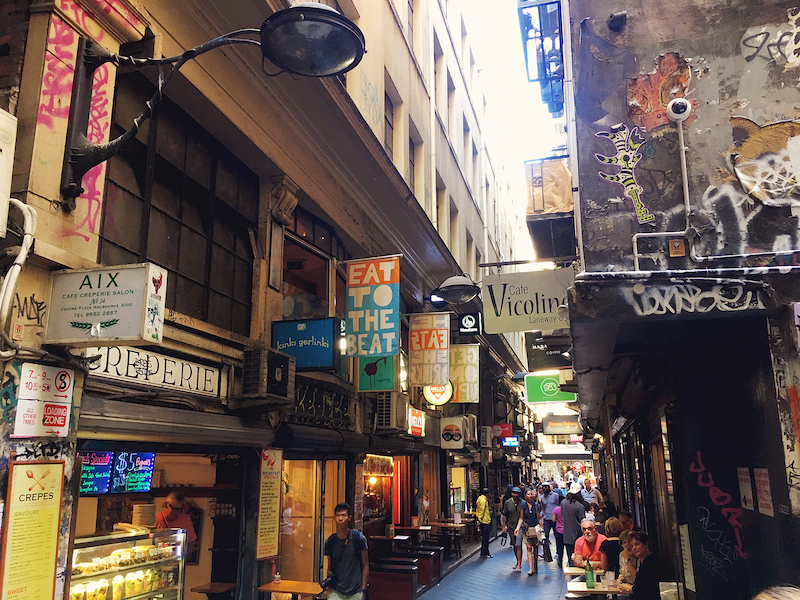 Melbourne’s laneways are also perfect fodder for café-hopping and window shopping. 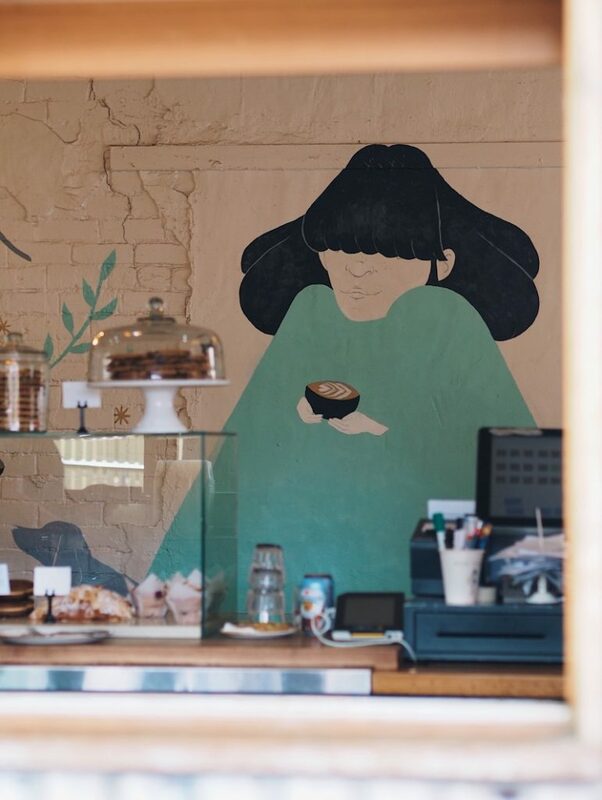 Wander the likes of Degraves Street, Centre Place and Guildford Lane to get a taste of Melbourne living and, of course, sip a few cups of our famously good coffee. The average flat white in Melbourne costs $4 – visit Brother Baba Budan, St Ali and Market Lane Coffee for some of my favourite roasts. Guess what? ALL trams within Melbourne CBD are free to ride. Look out for signs at the tram stop indicating you’re in the free tram zone and hop on without having to tap your Myki (Melbourne’s transport card). There’s also a free City Circle tourist tram that loops the city, providing commentary on sights as you pass them. Climb aboard one of the heritage cars for a for a fun ride past Parliament House, Docklands, Federation Square and more. 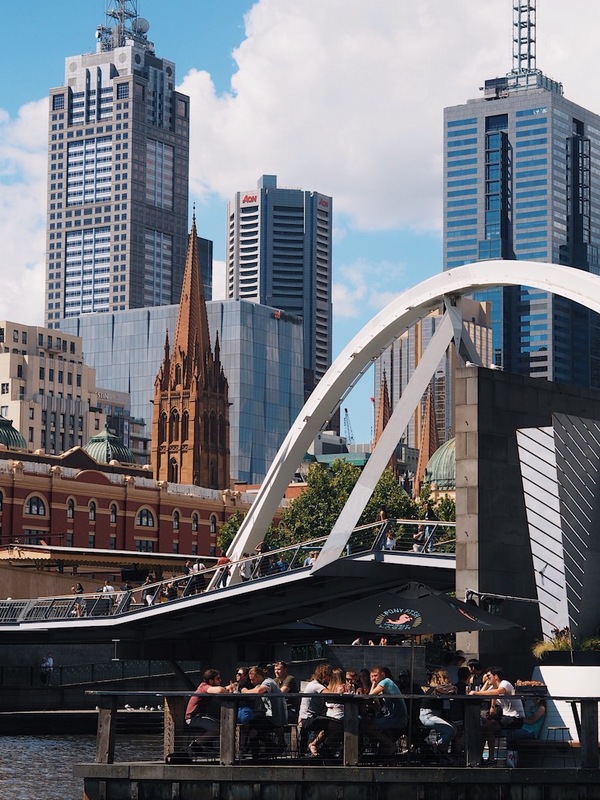 There are a couple of places you can soak up free arts and culture in Melbourne including Federation Square, NGV International and the Old Treasury Building. 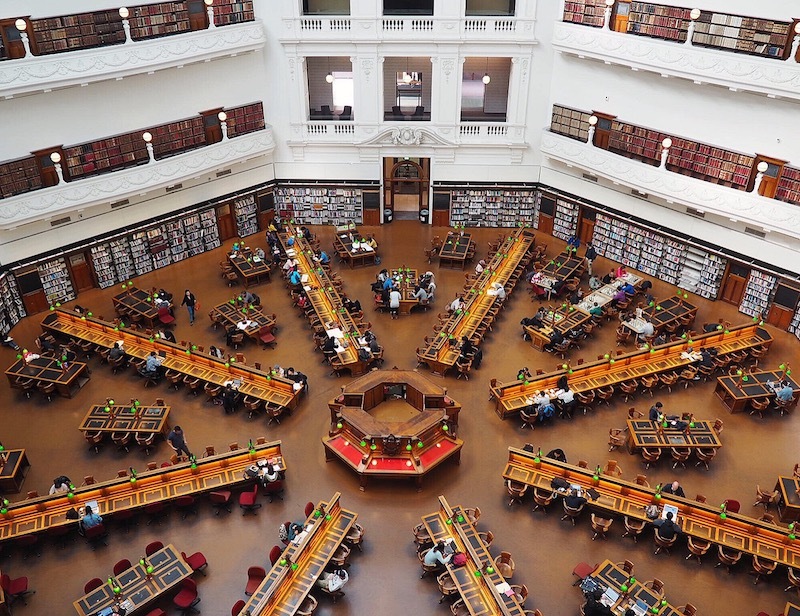 My personal favourite, however, is the State Library of Victoria, which not only has stunning symmetry, but holds a fascination collection of items reflecting Victoria’s cultural and social heritage, including infamous outlaw Ned Kelly’s armour. This is a bit of a local secret so sshhh don’t tell everyone. If you’d like to get a complimentary taste of upcoming acts at the Melbourne Comedy Festival check out the trial shows held at Easey Street Concert Hall in Collingwood. We’ve been a few times to see the likes of Charlie Pickering, Tommy Little and Lehmo test out material and it’s great fun to hear the new gags in this intimate setting. The venue is directly opposite Easey’s, a burger joint in an old train carriage perched on a rooftop, so stop by for an interesting dinner afterwards. Yes, people, Melbourne does have beaches! 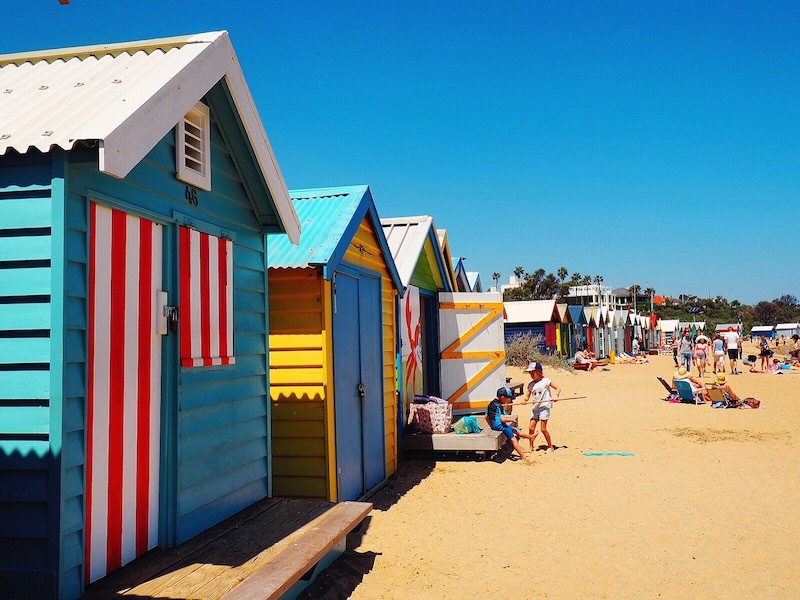 They are not as famous as Sydney’s famous bays but they offer something a bit different, like Brighton with its rainbow-coloured beach boxes. St Kilda is easy to reach by tram and has a row of European cake shops you can’t miss on Acland Street. Also check out Port Melbourne for one of Melbourne’s most magical photo spots at the old Princes Pier. Got kids? Check out this great list of things to do in Melbourne CBD with kids or take them to meet some of the 300 species of animals at Melbourne Zoo. Find out how to save money on tickets with a zoo membership in this Melbourne Zoo review. Established in 1878, the Queen Vic Market is Melbourne’s longest running market and a great place to pick up fresh, local produce if you’re self-catering. Head into the art deco Dairy Hall for fabulous pasta, breads and cheese or visit during one of the Night Market events for food trucks, live music and a lively atmosphere. An easy tram ride from the CBD, funky Fitzroy is a great suburb to hit up for cheap eats and drinks. Head to kitschy Bimbo Deluxe for bargainous $4 pizzas or Hotel Jesus for $2 Taco Tuesdaze (5pm-9pm). If you like Greek cuisine hit up Jimmy Grants and indulge in meat-filled souvas from $12 and a Saganaki Soldier (my fave) for $3. For cheap food and enviable rooftop views visit Naked For Satan for a $9 lunch every weekday. Melbourne is not short on unique drinking experiences so save a few pennies for these quirky venues. 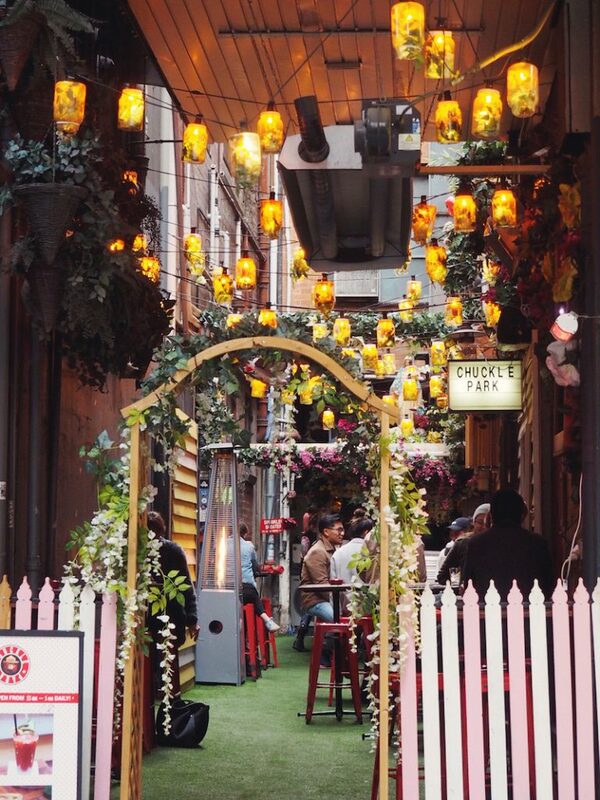 Squeezed into a lantern-strung laneway, Chuckle Park is a quintessential Melbourne experience. Pull up a stool and order a jug of Peach and Pear Sangria ($32) or just go for an espresso ($3.50) of you don’t want to blow the budget. 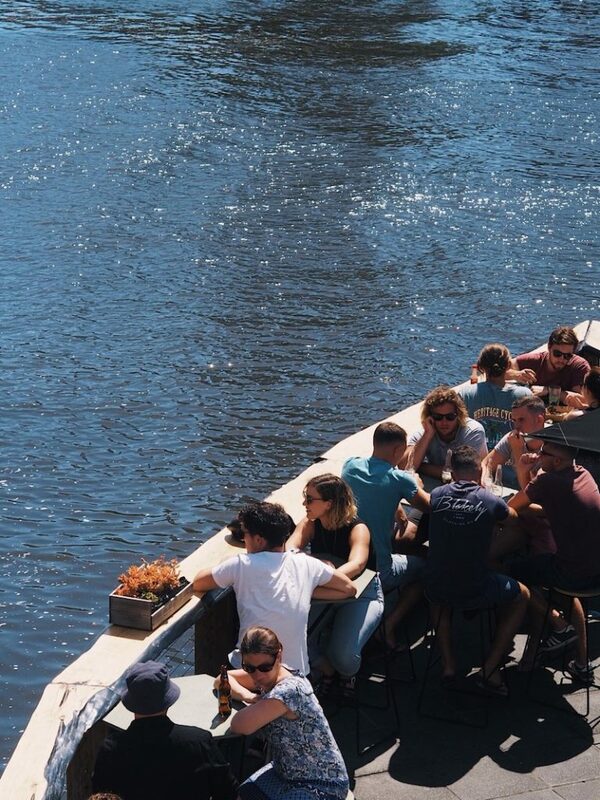 Proving that in Melbourne they really can make a bar out of anything, Ponyfish Island is located on a pontoon under a bridge in the Yarra River. A glass of sparkling will set you back $8 and just look at the view that comes with it! My final quirky pick is the ramshackle Section 8 on Tattersalls Lane. Constructed out of shipping containers and surrounded on all sides by street art, Section 8 is a cash only joint with heaps of hipsters. One of the best located budget-friendly boutique hotels in Melbourne is Hotel Jasper. With the free city tram and Queen Vic Market on your doorstep, what you spend on the room can easily be counteracted by free transport and cheap eats. If you’re staying a little longer I recommend the Punthill Apartments, which we’ve checked into on several occasions. Punthill have stylish apartments dotted throughout the city but I particularly enjoyed our stay at Punthill Northbank due to the jaw-dropping river views (especially when the Crown Casino flames went off) and cute café on the ground floor that serves phenomenal Red Velvet Hotcakes. All opinions, recommendations and top secret tips are mine. Let me know if you have any Melbourne questions in the comments. I absolutely love this guide. Now I’ve been to Melbourne a few times and went to some of the places you describe (Naked for Satan and the Victoria Night Market are my personal favourites!) and next time I go, I’ll be happy to check out some of the other places mentioned. A very useful list. I’ve only gone to one place from your list – QVM. It will come in handy on my next trip to Melbourne. Thank you. This is perfect! Everyone loves free stuff to do. I think free things offer more of a local feel while being a tourist too. I need to get to Melbourne (and Australia)! AC/DC Lane is one of my fave spots in Melbourne. The street art is just so quirky. And I agree, food in Fitzroy is just too good. I miss Melbourne. There is just too much choice when it comes to food in Fitzroy! Ah! I absolutely love this list! I have yet to get to Melbourne, but it’s super high on my bucket list and seeing your list is making me want to go there NOW! Unfortunately for me I haven’t made it to Melbourne yet. I have heard so many great things about it though. Your guide is just great, even though I often splurge on travel I love knowing what there is to offer for free. You must try a little of everything. I like to include free and cheap things when I travel. You can def explore easily on your own here and if you have a car there are awesome places like the Mornington Peninsula and Phillip Island to see too. I’ve NEVER been to Melbourne, but I am so anxious to get there. Great tips! I love this idea! I love that you don’t have to spend a lot of money to have fun whilst travelling. Love love love Melbourne! Art galleries are just amazing, and St Kilda never disappoints. You’re giving some great tips on visiting the city on a budget! I’m loving it now that’s it’s summertime and rooftop bars are in full swing!